I can’t help but feel like they’ve dipped their pen in the antisocial well one too many times. Like both Akatsuki and Shiroe, William turned to Elder Tale to shore up his weaknesses. As one might expect from a stereotypical MMO lifer, the guy had trouble making friends in the real world. Over time, he even grew to resent it. You can just feel his disdain in his words for not just the real world, but himself as well. Naturally, he turned to Elder Tale to help shore up many of his personal weaknesses. The game helped him find people that he could relate to. The game helped him make friends. The game gave him something to be proud of. Blah blah blah. It’s a familiar tale… one that we hear a little too often. 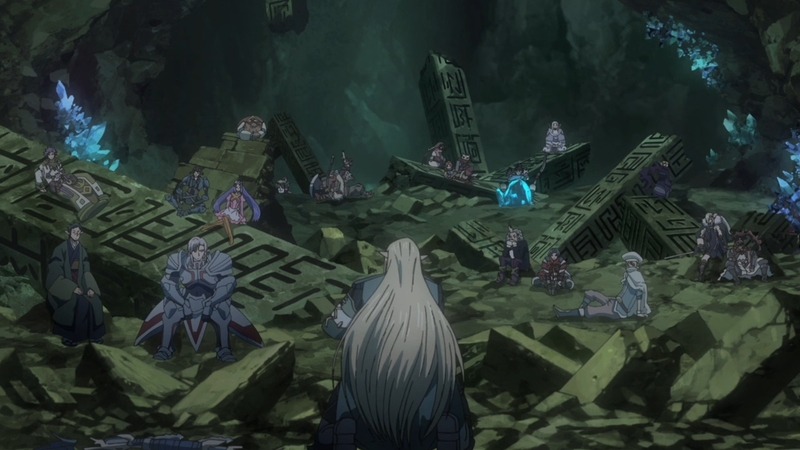 Despite being an MMO player myself, I’m not actually sensitive about the portrayal of MMO players in this anime. I don’t really care, to be honest. 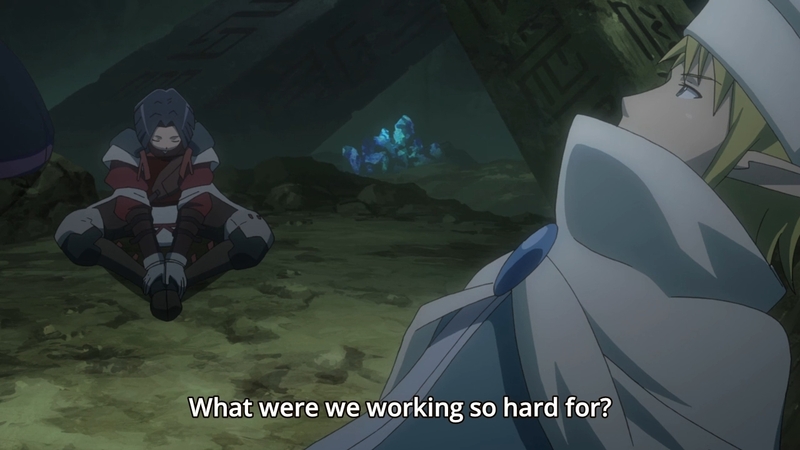 Rather, I just think what Log Horizon has done here is boring, because these characters’ sad tales all follow the same pattern. It’s also a bit lame, because we had just seen Shiroe’s story last week. As such, it’s still fresh in my mind, and here I am again, listening to yet another guy go on and on about how Elder Tale has helped made him a better person. Not only that, Akatsuki’s own fall and subsequent revival was just a few short weeks ago. As a result, I can’t help but feel as though I’m being bludgeoned over and over the head with the same basic story over and over. After all, you’d lose hope if you’ve tried everything, but you still failed. You’d lose hope if you absolutely cannot win. Neither of these two statements really apply to our raiders, though. They haven’t done everything that they can to succeed. They’re underleveled, after all. But sure, maybe leveling is really super difficult. Well, they’ve only died once to this encounter. What kind of raider gives up after one loss? 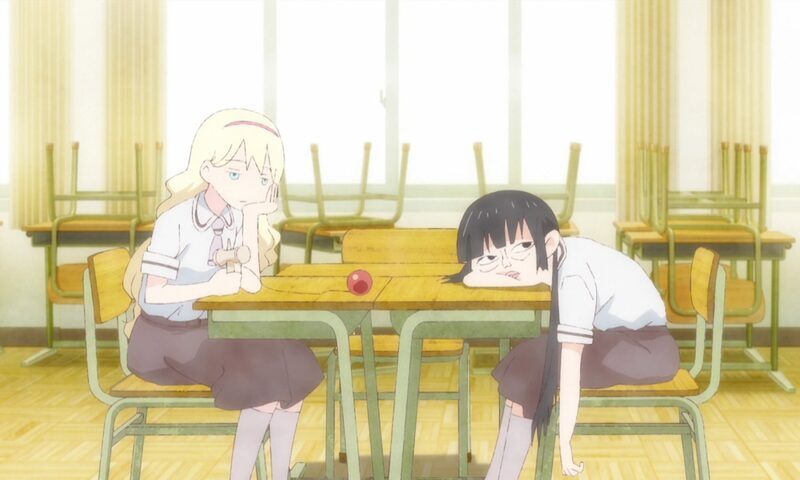 Again, this would all make sense if they were in great physical pain, but this isn’t what we see whatsoever. If they are actually in physical pain in the light novels, then so be it. I’m just talking about the adaptation, so my point still stands: Why give up if no one’s in real physical pain and you’ve only lost once? Anyway, there’s nothing else that I really want to talk about. After all, the episode was all inspiring speech, but a familiar speech nonetheless. It’s hard to get too excited about something I feel as though I’ve seen before. But like with our raiders, there’s still light at the end of the tunnel. Next week’s episode will have our raiders tackle this raid encounter once more, so maybe we’ll actually see something new. Maybe the pain is not physical? But when you die you got to see all your past failures/tragedies as a person in the real world, and then it becomes a huge mental pain, at the point that trying to evade death (and that recollection of memories) turns as a way of life on Elder tale. And it is possible that the memories that the deceased lost are only happy memories of the past, so, with each iteration it turns worst (sad memories>>happy memories?). Maybe the repetition of the scenario with Akatsuki, Shiroe and then Williams is an indication that every adventurer present in Elder Tale is/was the same in the real world….. so to leave that virtual fantasy each one needs to accept itselves as humans and go on with life? 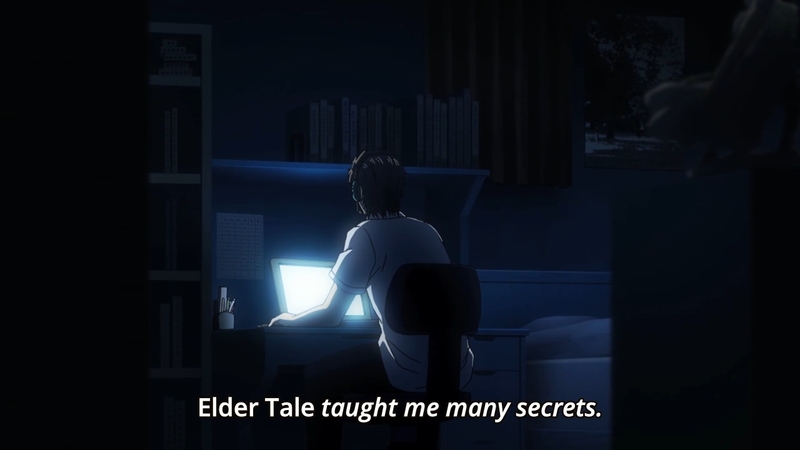 Or… on a creepy and overused note: Everyone is dead and Elder Tale is a purgatory for gamers who to pass on they need to accept their sins or something like that. If the pain is something that an inspiring speech can help them overcome, then the pain must not be significant. True. That is why maybe only those who died many times really give up (Its more painful each time?). Sorry for double posting (couldn’t find the edit option). All said before doesn’t make up for this boring pacing on these last chapters, one episode for all is enough in my opinion. Shiroe’s Coma theory. I like it.